The film industry has a long way to go when it comes to gender parity. According to a 2017 study from USC's Annenberg School, there are 23.8 male directors for every female director, female filmmakers of color are virtually shut out from the top-grossing films, and women tend to have shorter careers in the industry. Male critics give better reviews to male-driven films, and women are oft-ignored during awards season. Which is all very silly! Just give Anna Biller all the Oscars. 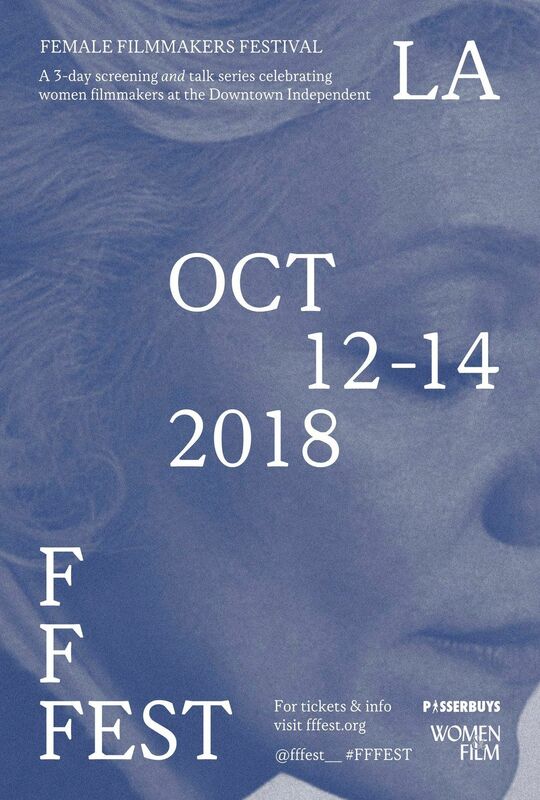 And so in the spirit of supporting women in Hollywood, Passerbuys, in partnership with Women and Film, will be presenting the first annual Female Filmmakers Festival (FFFEST) from October 12th through October 14th at the Downtown Independent Theater in Los Angeles. There will be multiple screenings of films by women directors, including hits like Crystal Moselle's Skate Kitchen and Mary Harron's American Psycho, Lucrecia Martel's Headless Woman (in 35MM), and Maria Novaro's Danzon. And FFEST is hosting several useful panels: Jameela Jamil, Sanaa Lathan, and Black Panther casting director Sarah Finn will be leading a discussion on representation on-screen, Lake Bell will be featured in a panel on balancing women and motherhood, and Moselle and fellow directors Augustine Frizzell, Natalia Leite, and Meera Menon are taking on perhaps the most essential conversation of all: how to make rent while breaking into the film industry. "I founded Passerbuys out of a desire to have women share resources and information amongst one another," said FFFEST co-founder Clémence Polès in a statement. "As a lifelong fan of cinema, it felt natural to transfer such ethos to a film festival. There are a number of great organizations supporting women in film, and I see FFFEST's role as a space to bring them together and hopefully become a tradition to celebrate and support female filmmakers." Natalie Fält, founder of Women and Film, wants the festival to both honor current women directors and encourage future creators. "Our goal is to act as both a learning tool and source of inspiration among filmmakers, both accomplished and budding," she said. We want FFFEST to create a sense of community for women in film in the hopes that more stories by and about women get made." FFEST is also leading a social media campaign: tag @fffest__ and #FFFILM on a post about your favorite woman-directed film on social media. For tickets and more information, click here. And go make your movie.